When a Secret Service agent questioned Zhang further, she allegedly said she arrived early for the event so she could “familiarize herself with the property and take pictures.” Zhang then presented a document written in Chinese that she said was an invitation to the event. Agents were unable to confirm the documentation, because they didn’t know Chinese. Besides noting no such event was scheduled to take place that evening, agents also remarked that her claim she was there to attend a UN event differed from the reason she gave a different agent earlier, that she was there to use the pool. Agents eventually took Zhang to a different location and asked further questions of her. According to the complaint, an agent “freely and without difficulty” conversed in English with her and informed her she had unlawfully gained entry to the club. Zhang became “verbally aggressive.” She was then transported to a Secret Service office in West Palm Beach, Fla., where she signed a statement waiving her Miranda rights. During the second interview of Zhang, she claimed her Chinese friend “Charles” told her to travel from Shanghai, China, to Palm Beach, Fla., to attend this event and attempt to speak with a member of the president’s family about Chinese and American foreign economic relations. Agents were unable to obtain any information more specifically identifying Shang’s purported contact, “Charles,” as Zhang claimed she has only spoken to him via “WeChat,” which your affiant knows from investigative research to be the dominant instant messaging platform in China. Additionally, Zhang stated that she did not tell agents at the main checkpoint that she was going to the pool. And when the security guard told her the name of “Zhang,” she just thought it was the person running the event and she was going to meet them. However, your affiant notes that Zhang exhibited a detailed knowledge of, and ability to converse in and understand even subtle nuances of, the English language. For example, as agents were attempting to obtain written consent for examination of electronic devices found in her possession, Zhang read the entire form in English out loud to agents. Additionally, Zhang would question agents about the context of certain words throughout the form. In doing so, Zhang showed her understanding and comprehension of the English language through reading and speaking. A search showed Zhang was carrying four cellphones, a laptop computer, an external hard drive, and a thumb drive. A preliminary forensic investigation found the thumb drive contained malware. Agents found no swimsuit in her possession. Zhang is charged with lying to a federal agent and gaining access to a restricted area. A Secret Service official declined to comment because of an ongoing investigation. No additional details were available about any of the items Zhang was carrying. The event raises serious questions about how a person not on any access list and carrying malware and a suspicious number of electronics could so readily gain admittance to an area that was restricted under authority of the Secret Service. From the account provided in the complaint, it appears agents may have improperly relied on the word of a Mar-a-Lago security manager. The account comes after the recent surfacing of reports that a Chinese American who once owned massage parlors investigated for prostitution attended events at Mar-a-Lago. The woman, Cindy Yang reportedly ran a website that promised access to Trump in exchange for political donations. 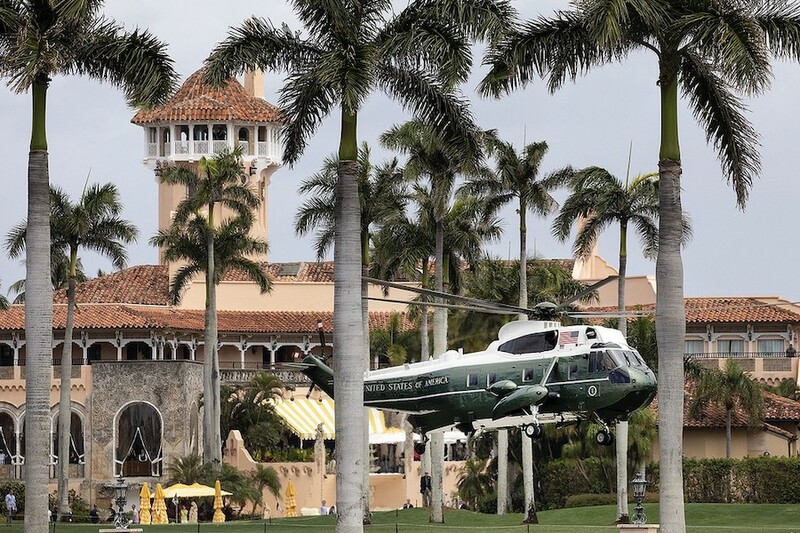 President Trump reportedly wasn’t at Mar-a-Lago when the woman gained entry, but he did stay there over the weekend.